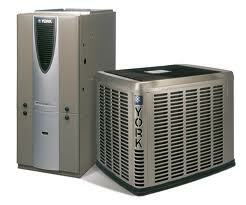 You are at:Home»Furnace»What Makes a Gas Furnace Work? This probably crossed your mind once or twice but you ignored it and said “let’s leave it to the professionals”. We it isn’t that complicated. I would like to show you that really the furnace controls are rather simple and easy to understand. The simplicity is that the circuit board handles all the complicated tasks and what isn’t handled by the circuit board is handled by very simple controls. Think about it, a gas furnace can be dangerous. It is a fire generating device that, if not controlled properly, can burn a house down or create deadly carbon monoxide. So sure, a circuit board with safety logic is required to prevent these dangers from taking your investment or your life. Let’s begin with why a circuit board is needed. 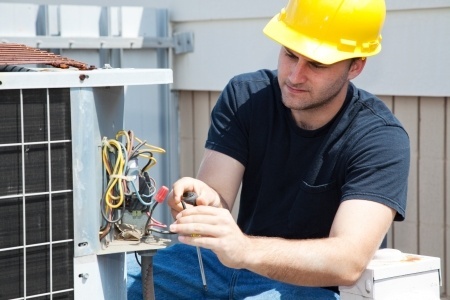 First, the furnace needs a high level of thought process to determine if all the safety controls are working correctly and that there is no risk of danger to the property or homeowner. The circuit board provides this logic for these decisions. And, by default, the circuit board will either shut the system down or not allow it to start. That decision is critical. Who would want their furnace to start or continue when there is a risk of death or property damage? Not me. I bet your next thought is along the lines of, so what is my circuit board checking? It is checking for safety signals before it allows the gas valve to open. It’s important to note that the gas valve is close by default. If it does not receive a 24V signal from the circuit board, it will close or stay closed, preventing the system from creating a deadly situation. So if something goes wrong or is wrong, the gas valve will shut or stay shut. Without any gas, there is no fuel to ignite a fire. The first safety check the board looks for is a significant amount of exhaust for the gasses created from the combustion of the fuel. If the system cannot properly vent the gasses, the system will not start the ignition process. Secondly the system starts the ignition system either a pilot flame or a hot surface igniter. Then the system allows the gas valve to open. The next check is to see if the gas has ignited with what is called a flame sensor. A bi-metal probe creates a minute electrical current when a flame is present. If the current is not detected, then the circuit board shuts the system down. Finally, the system looks for a situation where the blower fan is operating properly. The way this is checked is with a temperature sensor. If the fan isn’t working properly, the temperature in the heat exchanger continues to rise while the burners are running; eventually reaching a limit point that turns off the electrical signal to the gas valve. The system shuts down and the circuit board tries again. If the circuit board fails to keep the system running and has tried three times to start the furnace, the circuit board goes into lock out mode. This prevents the system from trying multiple times which could create a dangerous situation with unvented or undiluted gas, an explosion hazard. So next time winter rolls around, have an expert come check your furnace for proper operation and make sure your furnace is in the best possible condition to prevent damage to your property or life.